Deserae is using Smore newsletters to spread the word online. 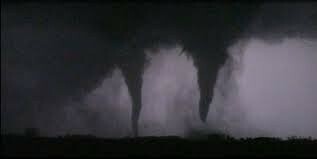 How rare are twin tornadoes? 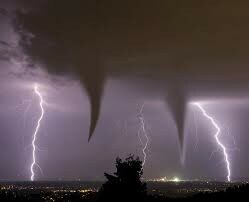 Twin tornadoes are very rare. They don't happen often. They occur roughly every ten to fifteen years. They occur in the same thunderstorm. 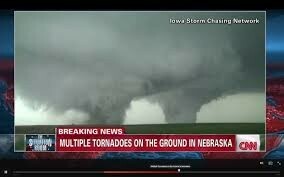 When they hit the ground they are roughly a mile from each other. The winds can go somewhere between 166 to 200 mph. A rating of two EF-4 tornadoes hit Pilger, NE on May 3, 1999. Nearly seventy-five percent of the town was destroyed. Two died and 19 people were injured.